Temperatures have plummeted in the UK recently, with lots of rain, a bit of snow, ice and of course that bitterly cold wind! Winter can be a challenging time for many drivers, even the most experienced ones! If you’re a new driver or you simply want a quick refresh on winter driving, we’ve got some tips on how you can drive safely this winter. The first thing you should do is ask yourself if your journey is absolutely necessary. Driving in snowy and icy conditions is more dangerous and drivers are 20% more likely to be involved in an accident during the winter months. If it is necessary for you to drive then you should make sure you do some essential checks on your car. Start by checking your tyre tread and pressure, top up your fluid levels (oil, coolant/water and screen wash) and check that your windscreen wipers are working effectively. The last thing you want is for them to fail whilst you’re out driving in snow. If you’re going on a long journey, it might also be wise to put some food, extra clothes and/or a blanket, a fully charged mobile, jump leads, a shovel, a torch and a de-icer in the car too. You might think it sounds extreme, but getting caught out in the middle of no-where with no supplies could be potentially life threatening! Plan your route before you set off; it’s a good idea to stick to major roads as there’s a better chance that they’ve been gritted or cleared which will make your journey faster and easier. 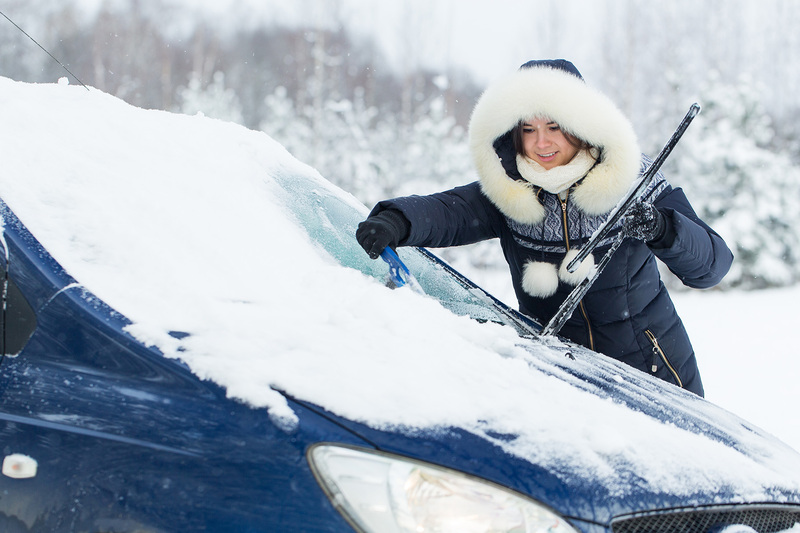 Allow extra time to clear snow and ice from your windscreen and the roof of your car – it’s not illegal to drive around with snow on your roof per se, but you must be able to see out of all your windows, and if any snow falls down whilst driving it could obstruct your view and other drivers which is dangerous. Once you’re prepared for your journey you can set off. Driving in snow and ice requires a very different driving technique that not many people are aware of. When driving in snow or ice it’s important to get your speed right – too fast and you’ll lose control, too slow and you could lose momentum. Brake, accelerate and change gears as smooth as possible. Stay in a higher gear where possible for better control. If it’s slippery and you drive a manual car, move off in a higher gear rather than first gear; this helps manage engine power delivery making it easier to find traction. If do start skidding, take your foot off the pedals and steer. Only use the brake if you can’t steer and regain control. Braking distance can increase by up to 10 times the normal stopping distance in icy conditions. This means in snow it could take you further than the length of seven football pitches to stop. It’s important to keep a gap up to 10 times the recommended length between you and the car in front. Black ice is a thin layer of ice on the road that’s transparent making it difficult to spot. If the road surface looks wet and the temperature is low, be cautious as there could be black ice. If you do hit black ice, keep your steering wheel straight and maintain your speed. Avoid slowing down using your brakes if you can and instead use your gears to slow down. Sudden movements could destabilise the car and you could lose control. 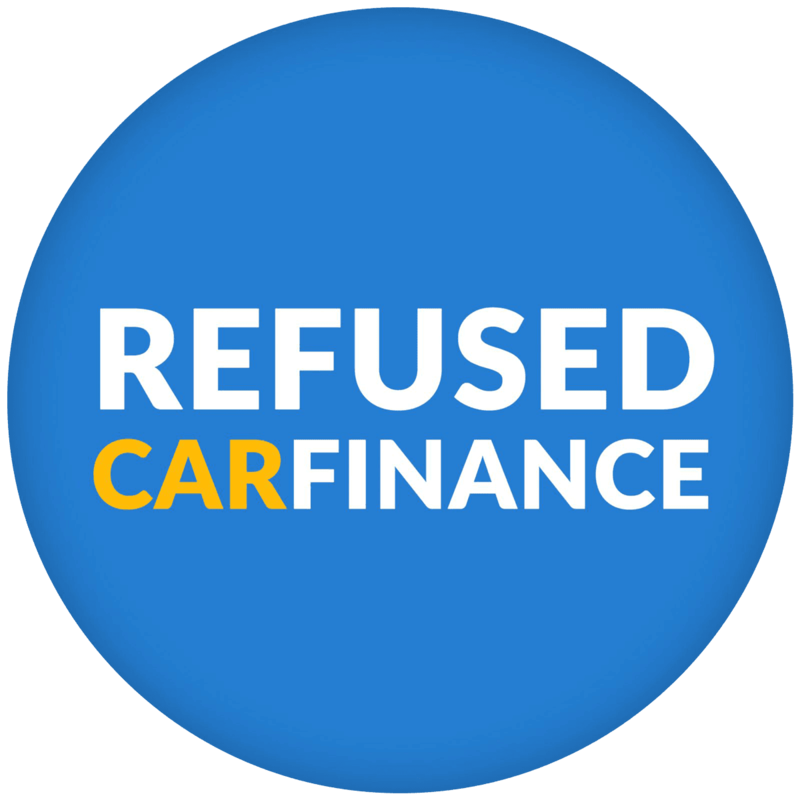 Refused Car Finance is a trading style of UK Car Finance Limited and is acting as a licensed credit broker and a lender, we are authorised and regulated by the Financial Conduct Authority, registration number 714966. All finance is subject to status and income. Applicants must be 18 or over, terms and conditions apply, guarantees and indemnities may be required. Written quotations on request. Certain exclusions for NI residents. Note: We cannot be held responsible for specification errors, and price errors, we use Motortrade software which is not always 100% accurate. Copyright 2017 Refused Car Finance. Refused Car Finance can introduce you to a limited number of finance providers based on your credit rating and we may receive a commission for such introductions. In the first 3 months of this year, UK Car Finance Ltd received 2140 unique applications, of which we were able to offer 2136 applicants a line of credit, subject to the applicant being able to provide acceptable proof of affordability, being free from insolvency and or/a supporting guarantor fitting the lenders eligibility criteria, this represented 99.8% of applicants in this period. Amazing service! Very friendly staff who not only try to find the best deal but also stick to the budget given so don't encourage over spending. Could not recommended them enough! Brilliant people to deal with and quick turnaround. I applied on the Monday had my dream car by Friday as quick as that. Went up by train to collect the car they met me outside the train station as soon as I got there. Car was as mint if not better than on pics. I asked for something specific and they got me exactly what they wanted for my budget. Trust in these people and they will help you out.